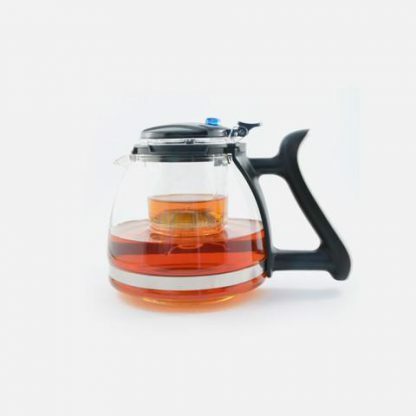 This teapot is made of heat resistant glass with a separate infuser pot within. 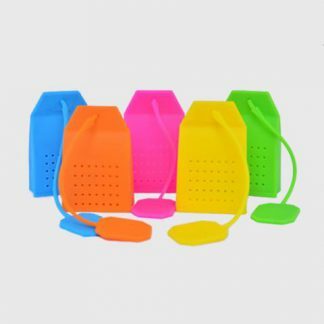 Tea leaves are infused in the infuser for 3-5 minutes, when ready, pressing the blue button will release the tea into the pot ready for enjoyment. 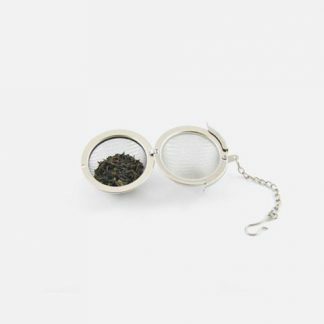 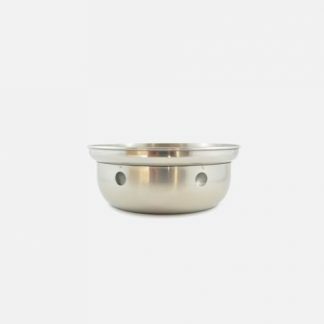 This will prevent tea leaves being steeped for too long in the pot which might lead to a heavier taste. This teapot delivers function, style and fun to the experience of drinking tea.